The House of Bloggers is an exclusive organization composed of Calgary's top and most influential fashion and lifestyle bloggers who are prominent in the local scene. 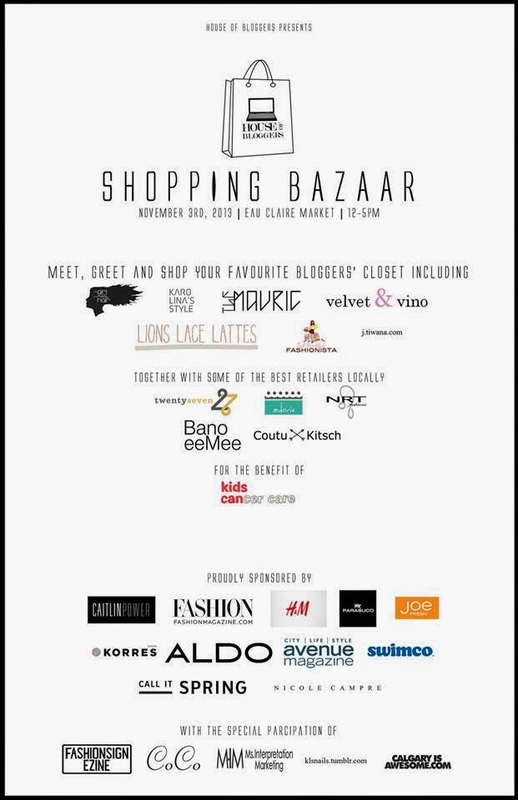 For its first event, the House of Bloggers has organized a shopping bazaar for this Sunday November 3rd from 12-5pm in Eau Claire Market to meet, greet and shop the closets of some of your favorite bloggers with a percentage of the proceeds from the event going to Kid's Cancer Care. Some of the local bloggers you can expect on that day are : Becky Kung of Velvet and Vino, KD Faustino of The Girl With The Messy Hair, Linda Sui Lem of The Mavric, Ashley Victoria of Lions Lace Lattes, Karolina Ciupinska of Karolina Styles, Jennifer Tiwana of Jtiwana.com and myself. The event will also have some local retailers like: Boutique 27, Bano eeMee, Coutukitsch, NRT fashions and Adorie Jewerly. We are letting you and your friends shop some of our pre-loved and brand new clothes, shoes, handbags and accessories for a good cause. 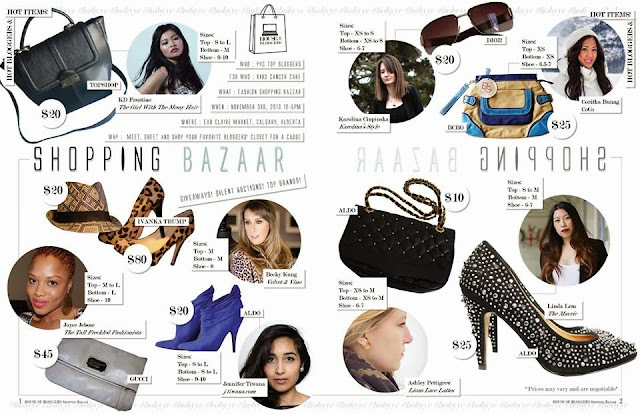 Check out this magazine spread of some of the goodies available for sale from each blogger on Sunday. 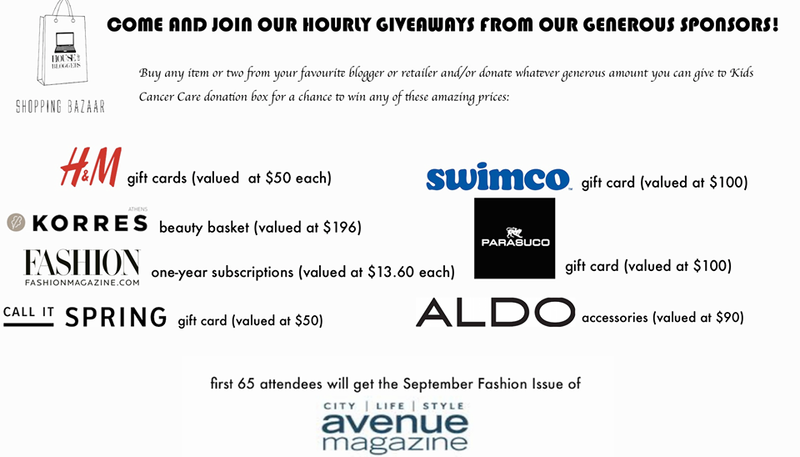 Parasuco Jeans- $100 gift card. 60 copies of Avenue Magazine's fashion edition September issue will be handed out to the first 60 people. This will be an amazing event and I hope to see you al there! Thanks Joyce for giving me a good deal on the Benetton peacoat!